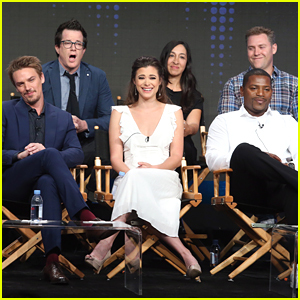 Devin Kelley Photos, News, and Videos | Just Jared Jr.
Peyton List sits front row next to co-stars Devin Kelley, Riley Smith, and Mekhi Phifer during the 2016 Summer TCA Tour held at The Beverly Hilton Hotel on August 11, 2016 in Beverly Hills, Calif. The four castmates joined executive producers Dan Lin, Jeremy Carver, Jennifer Gwartz, and John Rickard on the panel, chatting up the new CW show. Frequency follows Detective Raimy Sullivan (List), who has always wanted to prove that she is nothing like her father. In 1996, when Raimy was eight years old, NYPD Officer Frank Sullivan (Smith) left Raimy and her mother, Julie, behind when he went deep undercover, got corrupted, and got himself killed. Or so the story has always gone. Frank’s former partner, Lieutenant Satch Reyna (Phifer), is now Raimy’s mentor and friend, and he has urged her to let go of the hurt and anger she still feels about Frank’s disappearance and death, but the old pain still lingers. Twenty years later, Raimy is stunned when a voice suddenly crackles through her father’s old, long-broken ham radio � it’s Frank, somehow transmitting over the airwaves and through the decades from 1996. Frequency will premiere on October 5th.